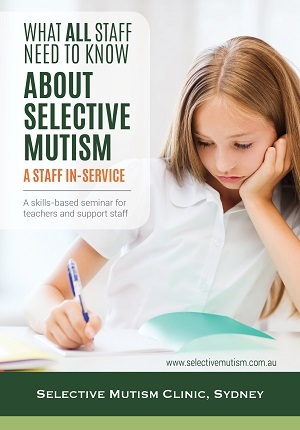 The seminar featured in this DVD provides education for all school staff about selective mutism. The 45-minute seminar featured in this DVD is designed to be shown at a staff in-service meeting in a primary, high school, or preschool setting, to help staff to understand this relatively unknown anxiety disorder where children are so shy they cannot talk at school. The seminar outlines the best approach for all school staff to manage these children and avoid worsening the condition. 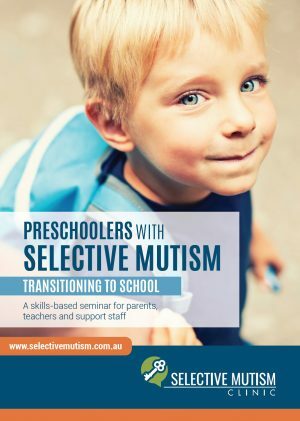 Primary school, high school, and preschool management staff who would like to educate all staff at their school about how to talk to and manage a child with selective mutism. School psychologists or learning support staff who wish to do the same as above. 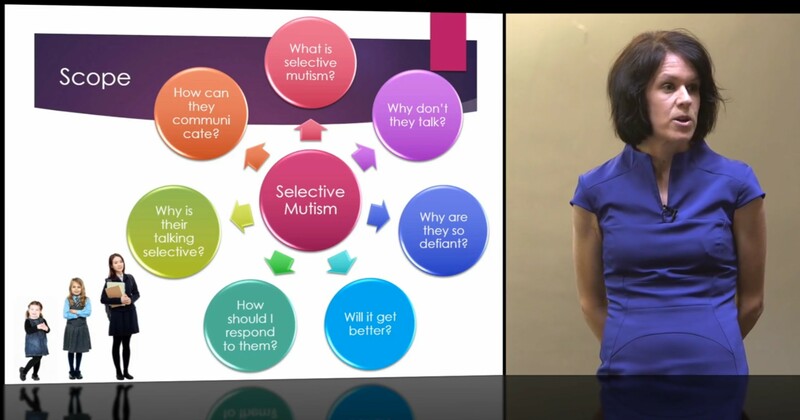 This seminar DVD does not cover comprehensive school treatment strategies for children with selective mutism (as covered in our 2.5-hour seminar DVD here). This seminar is about educating all school staff about this condition. 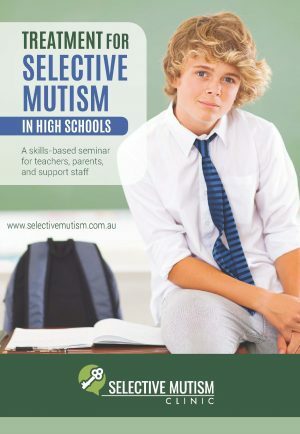 The seminar is delivered by Dr Elizabeth Woodcock, a Clinical Psychologist, who established and is the Director of the Selective Mutism Clinic in Sydney. She is co-author of the book chapter ‘Treatment Programmes for Children with Selective Mutism’ in the book ‘Innovations and Advances in Cognitive Behavioural Therapy’ edited by D. Einstein (2007). Elizabeth has worked in both private practice and the public sector, in both research and clinical settings for over fifteen years. Elizabeth provides treatment for children and adults with a range of clinical disorders, and regularly provides training seminars for teachers, parents, and clinicians about Selective Mutism.